In the early 1950's , most post-war German could only afford the small 250cc Goggomobil T250, if that at all. However- Germany's economy began to improve and Hans Glas and his engineers determined that there was a market for a car that was "somewhat" larger than a Microcar, but not as large (or expensive) as a Volkswagen. 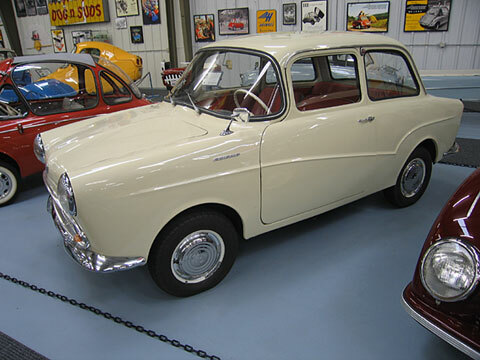 The car was unveiled in 1957 as the "large Goggomobil", it had either a 600 or 700cc engine and plenty of room for a family of four and their luggage. It was also known as the "ROYAL" in the UK. Weight: 650 kg Electrics: 12 v 4 Wheels: 5.20x12"